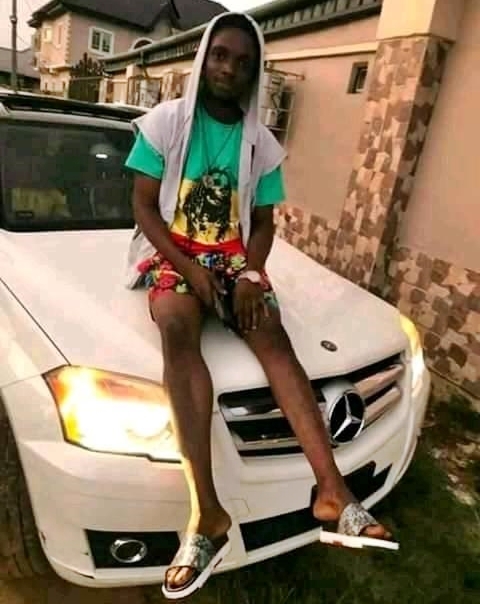 The photo of a young man who is suspected to be a member of a cult group, and was hacked to death by members of a rival cult group in Delta State is trending online. 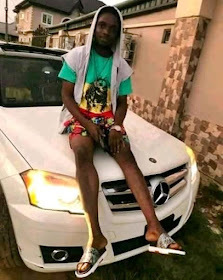 Reports have it that the deceased identified as Ube, who belonged to the Vikings Confraternity, was reportedly hacked to death in his car along Cross and Stop Bus Stop, Udu Road, Delta by members of the Aye Confraternity. "Report has it that yesterday a young man, Ube by name who belong to the Viking’s confraternity was hacked to death by members a the rival cult group right inside his car, along Cross and Stop bustop Udu Road, Delta State yesterday. "According to eyewitness account; there was a clash between the Aye and Vikings confraternity, unfortunately Ube’s was killed. His elder brother id said to be a member of the Aye cult group. "He was killed right inside his new Benz GLK. Until his death he was said to be a father of one. May his soul rest in perfect peace."